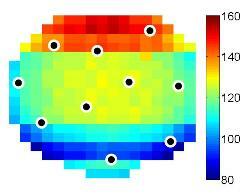 We exploit advanced statistical methods to model the spatial variation of integrated circuits. Our goal is to minimize the testing and characterization cost and, hence, facilitate adaptive tuning for high-performance integrated circuits. This project involves various aspects of semiconductor manufacturing, regression modeling and statistical inference.